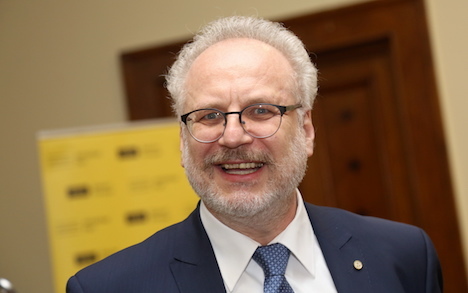 Three out of five Latvian political parties have voiced their readiness to support Judge Egils Levits from the Court of Justice of the European Union as a presidential candidate in the country. Previously the National Alliance ‘All for Latvia’-‘For Fatherland and Freedom/LNNK’ and the New Conservative Party had voiced their support for Levits. Yesterday, 2 April, support for him was also voiced by Attīstībai/Par! political party. New Unity has no plans to propose its own candidate. Instead the party wants to reach an agreement on a specific candidate in the coalition. According to New Unity politician Arvils Ašeradens, stability in the coalition is very important for his party. New Unity plans to meet with Levits to discuss his candidacy. Once this is done the party will decide on its position, the politician explained. KPV LV intends to discuss plans for presidential elections with its Saeima faction, said the party’s leader Artuss Kaimiņš. He says his faction has had a ‘very pleasant’ conversation with Levits. Kaimiņš stresses that KPV LV members have yet to decide on supporting any candidate or picking a candidate of their own. Because of that, he is only able to voice his personal opinion on this topic. Kaimiņš believes Levtis a very respectable candidate who has left a very positive impression after their shared conversation. Kaimiņš welcomes that fact that Levits was always present in the EU Court; that he is not someone from nowhere and he has proven himself a professional. When asked if there are already signs of Levits being picked as the coalition’s chosen candidate, the leader of KPV LV said the coalition plans to make its decision before 15 April. Prime Minister Krišjānis Kariņš previously said parties of the ruling coalition in Latvia hope to reach an agreement on a single presidential candidate before 15 April. The prime minister said in February that politicians have agreed on criteria for the future president: spotless reputation, ability to represent Latvia internationally, understand the principles of democracy, have a vision for the country’s economic development and the nation’s overall development. Presidential elections in Latvia will start in summer. Is he a good person for that position, or just the one who is wanted there by the old and influential students society of Latvias University?